From August to November 2012, our office has been working around the clock to make sure we got out the vote for students at UC Berkeley. In addition, ours well as pushed for Yes on Proposition 30, and No on Prop 32. We had our work featured in over five mainstream media outlets, worked with over 10 non-profit organizations and elected officials (YoungPeopleFor, Citizen Engagement Lab, Rock the Vote, Obama for America, Hip Hop Congress, Congressperson Barbara Lee, Assemblymember Nancy Skinner, State Treasurer Bill Lockyer, the Greenlining Institute, and UAW Local 2865), and collectively outreached to over 3000 students throughout the election season. 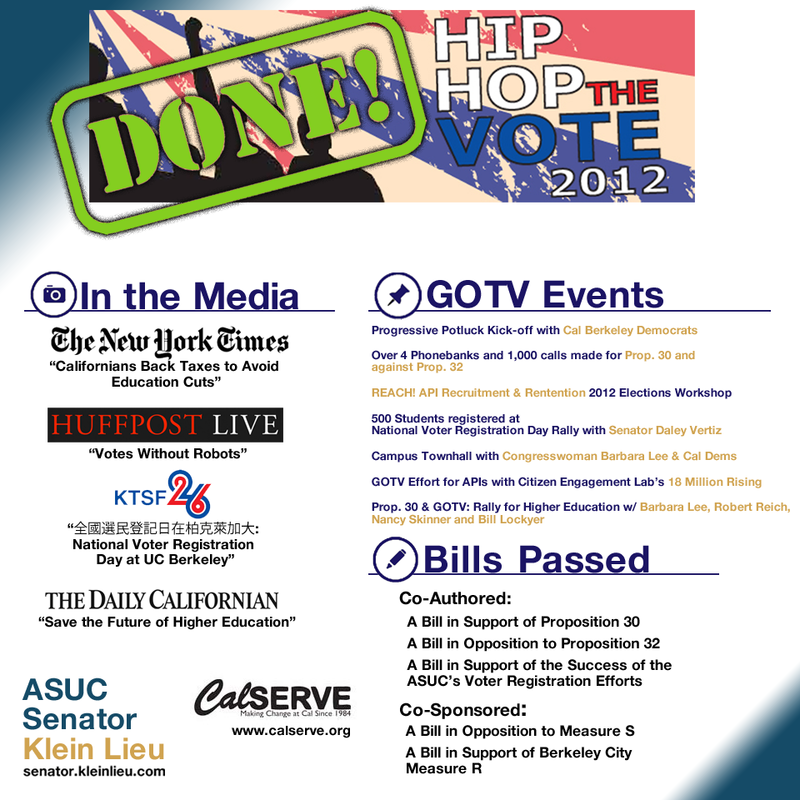 Check out our accomplishments below! Phone-Banking: Over 1,000 calls made for Prop. 30 and against Prop. 32!